My Web World has been a leading name in website development for quite sometime now. We have a lot of experience in website development, e-commerce websites, wordpress, drupal websites and joomla. We have also developed android applications and even applications in core PHP. My Web World aims to be the premier institute which provides a whole range of web based service, including SEO and Graphics design so that our customers dont have to look any further for their business needs. 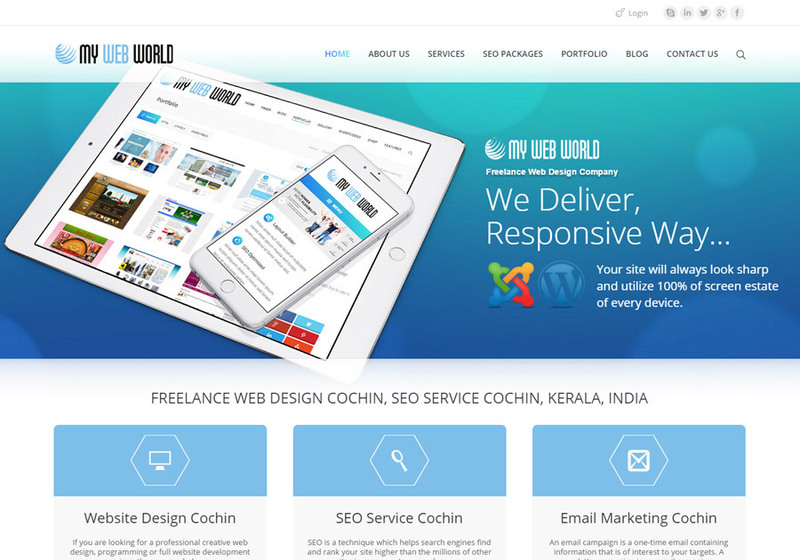 My Web World has always prioritized quality above all other things and the award for the “MOST PROMISING WEB DESIGN COMPANY IN COCHIN, INDIA” is a proof of our dedication to our work.